You have to be careful where you show off the new "red" Nexus 5. In the right light — or, more specifically, in the right bad, artificial light, there's a better than even chance that you're going to blind somebody. Outdoors, you risk attracting the attention of nearby search parties. This is a bright red phone. At times, it's almost neon red. It goes from startling to painful to "Oh, my God, what have I done?!?!" depending on your lighting source. Consider yourself warned. Otherwise? Same great Nexus 5. Other items of interest here: The Day-Glo extends along the sides and peeks through the front of the phone, as well as in the earpiece speaker grille. The black buttons look nice. But because the sides are red, the SIM card tray isn't hidden as well, and it looks a little sloppy. The FCC information stenciled on the back is all but invisible, though, so there's that. Another burning (as in "well, what is it?!?!" and not "oh, my eyes!") question was whether the back case would be the matte plastic like the white Nexus 5, or the more stylish soft-touch black. It's the former. No soft-touch to be found here. If you're dying for more, we've got video and more pictures after the break. If you want to give the red color a shot, there's a cheaper option. 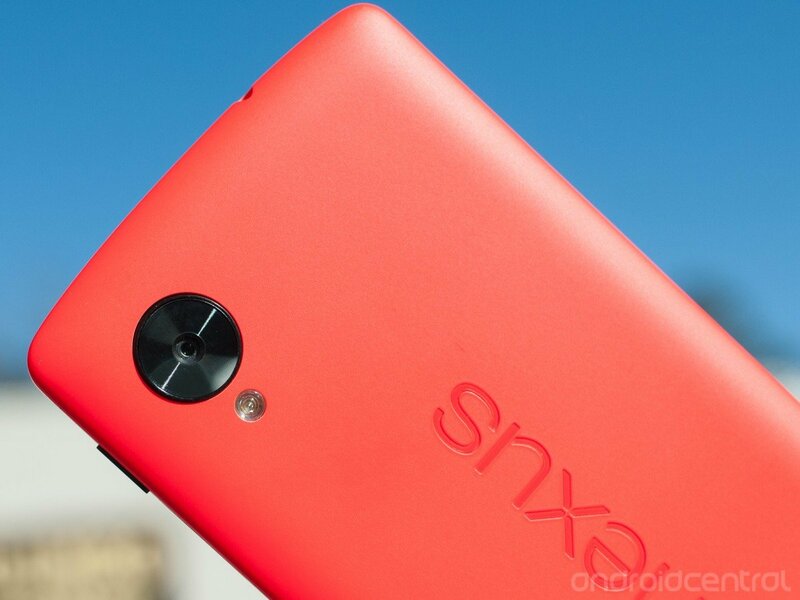 Just snag yourself the red Nexus 5 bumper case, and you've pretty much got the exact same thing. Same color. Same headache.